A perennial for semi-shade. Height 20-30cm. 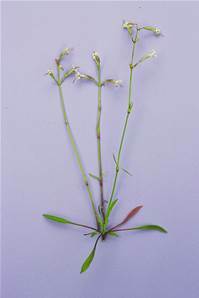 Nodding white-greenish flowers often with sticky stems, May-July. Flowers open late afternoon and are fragrant and nectar rich. Attractive to Butterflies and Moths. Good near the coast.